Entry requirements for nomination are: 3 Audio CDs 4DVDs 1 Mini DV tape Soft copies of artiste's profile and potrait picture. Entry starts 4th of June and ends 30th of June . 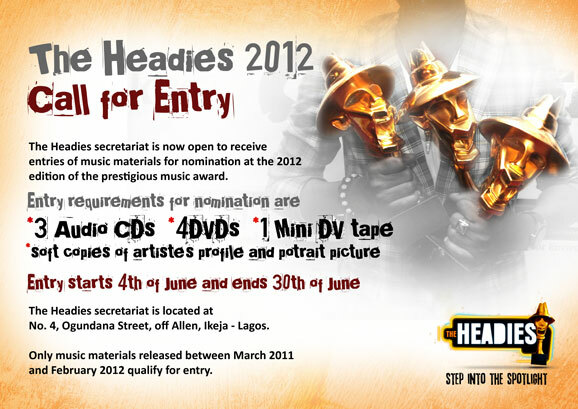 The Headies secretariat is located at No. 4, Ogundana Street, off Allen, Ikeja - Lagos. Only music materials released between March 2011 and February 2012 qualify for entry.